I love a good summer drink. Last summer I was addicted to Lemonade Beer with Cherry Rum. These new drinks are very similar. I really enjoy the taste of the citrus with the beer. Probably why I enjoy a Corona with lime. And that’s where the flavor came from. 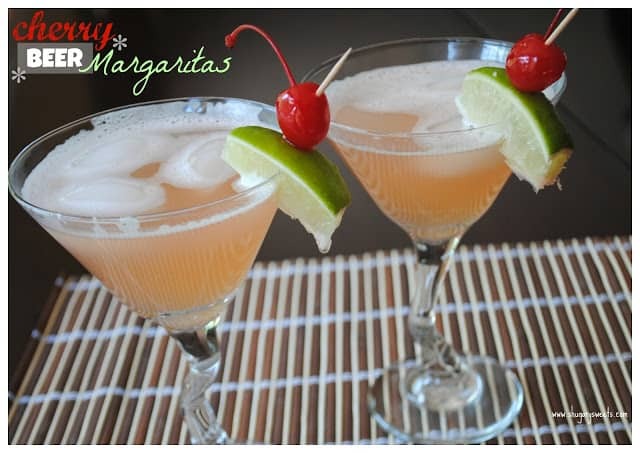 Marry the corona and lime, with the lemonade beer/cherry rum recipe…and this is what I will be enjoying at 5:00pm on a summer evening. Yes, I know I used martini glasses, but my margarita glasses were dusty and I was lazy. These glasses were too small. And if you’re wondering how it went, I drank the little one, hubby started the big one. Then I took his and finished it and refilled. And repeat. Yes he enjoyed them, but I didn’t feel like sharing much. Sorry babe. Don’t worry, I’ve stocked up on supplies so we will have them again VERY VERY SOON! **Please drink responsibly. Shugary Sweets is not responsible for your alcohol consumption. This drink is highly addictive! In a large pitcher, mix beer, 7up, limeade and tequila until completely combined. Serve over ice with a lime wedge and cherry. Enjoy! Well, now I know what I’m making Sunday night for a dinner party I’m having. Thanks! Mucho yummy! What a great recipe! Looks delish! Perfect for the holiday weekend!! Now I just might like beer all mixed up like that:-) Too funny that you drank his too!!! 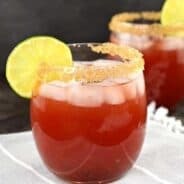 I can already imagine serving Cherry Beer Margaritas during beach parties with friends and having friends to demand more for such a delicious and well garnished beverage. Thanks for sharing this with us, I’ll have a lot of fun by adding it in my collection of recipes. Keep us updated on your newbies and events. These are so fun! They look so refreshing! My husband will go nuts for this, such a great idea! 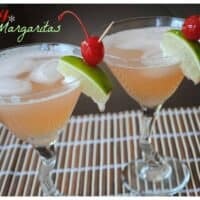 This sounds really good – possibly a drink my husband and I could actually agree on! Thanks for linking up to the Piece of Cake Party. Looks delicious. It will be a great way to use up the leftover Corona from Cinco de Mayo. See you next week. Whoa whoa whoa… cherry beer margs?! I am SO excited to try this. I love lime in my coronas, too–and I am in love with tangerine wheat beer that’s brewed here in Northern California, so this is right up my alley! Wow! Like the pic using the martini glasses, though! You can bet the drink is awesome! My friend Amy came up with this idea. You may have heard of her…The Blonde Cook. Maybe you should give credit where credit is due. This is indeed a lovely drink…it’s too bad the mastermind behind this recipe hasn’t been given proper credit. Honestly, it’s common blogger etiquette. I suggest you fix this error. Wow! Looks like you stole this from another food blog. Shame on you. They did the same drink and even named it the same. They posted before you. Shame! Funny, I saw this on the REAL creator’s blog before you “came up with it”. As Judy Garland said..better to be a first rate version of yourself than a second rate version of someone else. Why not actually create something original? 7-up instead of the cherry 7-up. So I suggest you find something worthwhile to do with your time instead of leaving malicious comments on a recipe that was NEVER patented in the first place. Because let’s face it we all use recipes we have had or seen before and change what we like to make them our own. We are NOT making any proceeds off blogging our recipes. Really – Get a life! Sorry about that but I had to vent at the uneducated people leaving nasty comments! 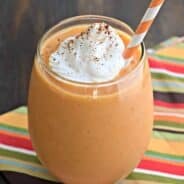 I have the same recipe on my blog with a different soda flavor. I would choose to ignore people who have nothing better to do with their time than try and get “credit” for their friends who apparently don’t like to share! Yum! That looks good…perfect for summer. 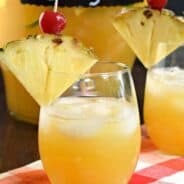 I’d love it if you would consider sharing it with our Summer Recipes linky party. We’re two blogs sharing one combined linky party for double exposure.